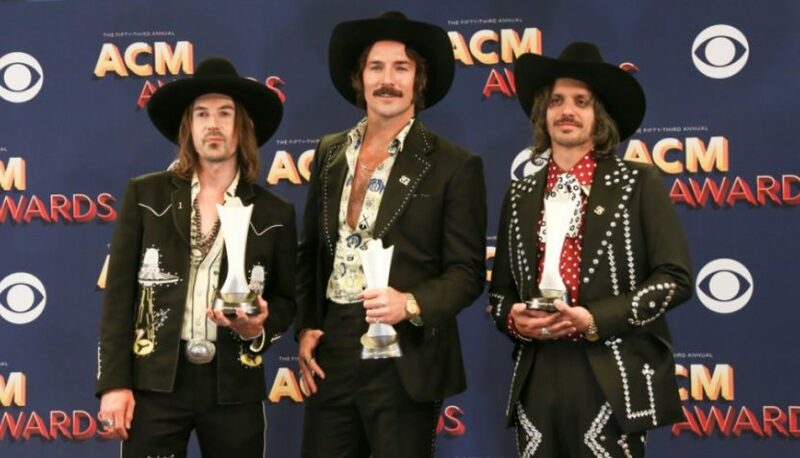 Midland filmed the music video for “Burn Out” and in doing so they also paid tribute to one of the most memorable cowboy movies of the past 35 years: Urban Cowboy. The video will officially drop today, but the trio shared via Facebook a behind-the-scenes look at the shoot. The 1980 film starred John Travolta and Debra Winger, who meet at a local honky-tonk called Gilley’s. “Burn Out” was shot at Billy Bob’s in Fort Worth, Texas, and directed by TK McKamy,. “Burn Out” is Midland’s third single following their No. 1 hit, “Drinkin’ Problem” and Top 15 song “Make a Little,” both off their 2017 debut album On the Rocks.